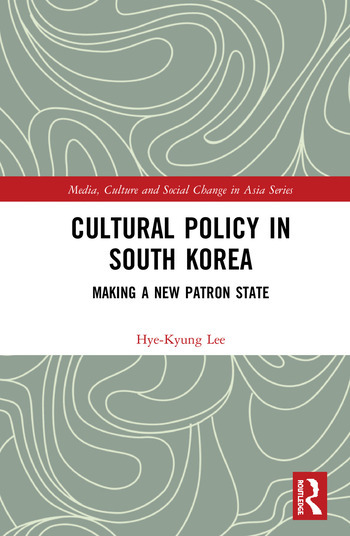 This is the first English-language book on cultural policy in Korea, which critically historicises and analyses the contentious and dynamic development of the policy. It highlights that the evolution of cultural policy has been bound up with the complicated political, economic and social trajectory of Korea to a surprising degree. Investigating the content and context of the policy from the period of Japanese colonial rule (1910–1945) until the military authoritarian regime (1961–1988), the book discusses how culture, often co-opted by the government, was mobilised to disseminate state agendas and define national identity. It then moves on to investigate the distinct characteristics of Korea’s contemporary cultural policy since the 1990s, particularly its energetic pursuit of democracy, a market economy of culture and outward cultural globalisation (the Korean Wave). This book helps readers to understand the continuous presence of the ‘strong state’ in Korean cultural policy and its implications for the cultural life of Koreans. It argues that this exceptionally active cultural policy sets an important condition not only for artistic creation, cultural consumption and cultural business in the country, but also for the nation's ambitious endeavour to turn the success of its pop culture into a global phenomenon. Hye-Kyung Lee is a Senior Lecturer in Cultural and Creative Industries at King’s College London, UK.